When it comes to mixed martial arts matchmaking, the only rule is that there are no rules. Fighters are paired in whatever fashion a promotion deems necessary to improve their positions and long term earning potential for that promotion. The Ultimate Fighting Championship is no exception, and Nicco Montaño is the latest fighter to end up on the short end of the organization's whims, whether fairly or unfairly. 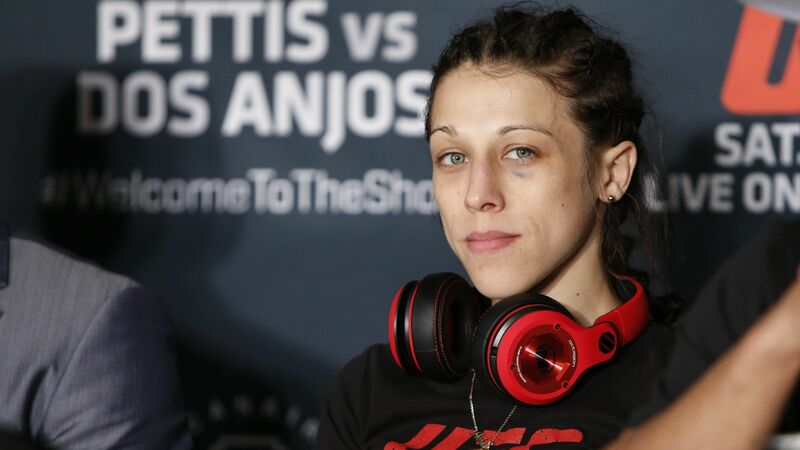 The former women's flyweight champion now finds herself out of a title, and many within the MMA space are looking ahead to a bout between Valentina Shevchenko and Joanna Jedrzejczyk to crown a new titleholder at 125 pounds. This idea continues to gain steam in MMA fan and media circles; however, it is dismissive to not only Montaño, but to the rest of the flyweight division as well. First, there's the issue of whether the stripping of the title from Montaño was a fair decision, which we’ve covered in some detail. While the decision is understandable, one must question why that same stance wasn’t taken with Dominick Cruz or Max Holloway, two men that have struggled or are currently struggling to defend their UFC belts. In the case of Cruz, an interim championship was created, and it took over two years of inactivity from the champion for the UFC to strip him. Montaño, on the other hand, earned the UFC Women’s Flyweight Championship nine months ago and since then has dealt with multiple setbacks. She pulled out of her bout with Shevchenko the day before UFC 228 after a hospitalization due to a bad weight cut, and has delayed other bouts due to physical ailments. To many, that has provided reason enough to advance the narrative that she was “scared” to fight “Bullet” and that the UFC made the right call in stripping the belt. 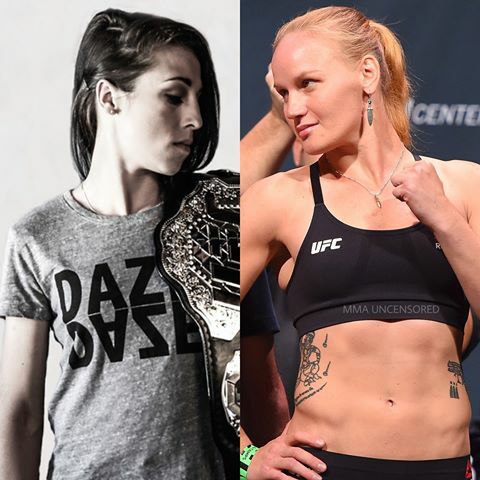 Now, the narrative has shifted to a title fight between Shevchenko and Jedrzejczyk. Both Shevchenko and Jedrzejczyk are dynamos within women’s MMA, two of the best in recent memory. But all of their accolades come in different weight classes, and it's worth wondering whether that’s enough to make them the top contenders for the 125-pound title. Shevchenko fought the current UFC Women’s Bantamweight Champion, Amanda Nunes, in two really close fights; plus she defeated the former champion, Holly Holm. But at flyweight she’s only defeated Priscilla Cachoeira, a fighter who stepped in at the last minute, who many believe has no business stepping into the Octagon at all in the future. Then there’s Jedrzejczyk, a fighter that hasn’t competed at 125 since 2014. Yes, she’s been on a tear for most of her time in the UFC, defeating every woman not named Rose Namajunas. But is her widely successful run at 115 enough to make her an immediate title challenger at 125? Many fans and analysts believe so, but I say the verdict is still out. And before anyone brings up the idea that Shevchenko and Jedrzejczyk have some sort of "rivalry," that idea needs to be squashed. The two women met three times during their respective kickboxing careers, and Shevchenko defeated Jedrzejczyk handily each time. There’s nothing in those three kickboxing matches which are more than a decade old to consider a catalyst for an immediate fight between the two in the UFC. And what about the other women in the division? Sijara Eubanks earned a fight with Montaño for the inaugural title through her performance on The Ultimate Fighter, but weight cut issues forced her out of the bout. 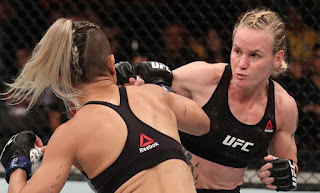 She since rebounded with a victory over former ranked fighter Lauren Murphy, a more credible victory in the division than either Shevchenko or Jedrzejczyk have. Then there’s Katlyn Chookagian, who has quietly pushed her way to a Top 5 ranking in the division. Should they all get overlooked based on the idea that the UFC is working overtime to promote Shevchenko and Jedrzejczyk? It seems like the answer is yes, and the rest of the division will have to wait and see where they will fit into the title picture. 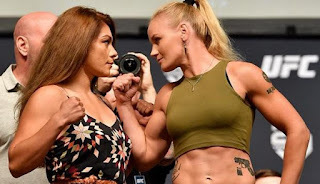 It’s clear that the UFC looks for a certain type of woman to elevate in its women's divisions, in the hopes that it can cater to a specific segment of its fan base and appeal to mainstream media. Ronda Rousey fit the bill, Paige VanZant fits the bill, and Valentina Shevchenko fits the bill, but many fighters do not. By pushing foward with Shevchenko and Joanna Jedrzejczyk at the top of the women's flyweight division, the UFC continues to burden the female fighters on its roster in a way that we don't see with their male counterparts, and reinforce the idea that the playing field is far from level.